An attorney for one of the women who accused Fox News host Bill O'Reilly of sexual harassment is calling for an independent investigation into the network. Lisa Bloom, a civil rights attorney and advocate, made the appeal on CNN's "Reliable Sources" on Sunday. "This network is the Bill Cosby of corporate America," Bloom said. "Women over and over again are driven out." Bloom is holding a press conference Monday with her client, Wendy Walsh. Bloom told CNN that she would make the case for a thorough investigation "of sexual harassment at Fox News." Bloom also mentioned ex-Fox anchor Gretchen Carlson, who sued Fox's Roger Ailes last summer, alleging harassment and retaliation. 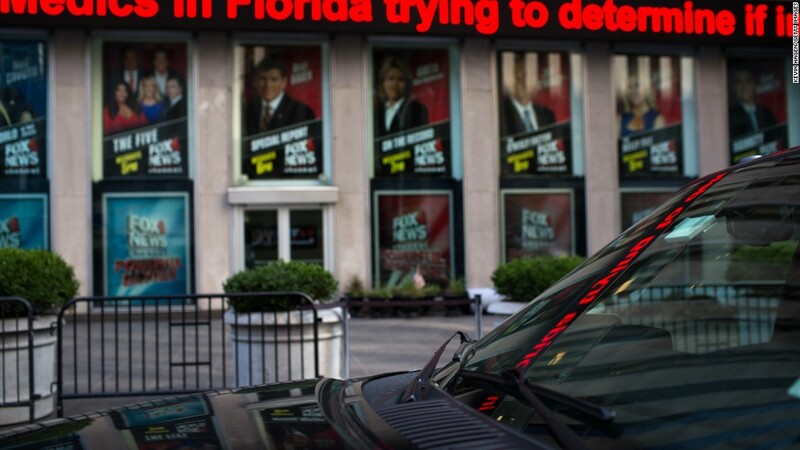 Fox's parent company paid Carlson $20 million and issued a public apology. During the TV segment on Sunday, Carlson tweeted to Bloom, "All I can say is thank you @LisaBloom." Bloom, a former contributor to NBC's "Today" show, is known for her liberal advocacy as well as her legal work. Referring to Walsh, she said, "This is not my first case against Fox News and I don't expect it will be my last." Walsh was a guest on O'Reilly's top-rated cable news show, "The O'Reilly Factor," multiple times in 2013. She told the New York Times, in a story published this weekend, that O'Reilly reneged on a promise to get her a job at the network after she rebuffed his advances. O'Reilly's representatives say Walsh's recurring segment was scrapped due to poor ratings. Walsh has not sued O'Reilly or sought a settlement, according to Bloom. Five other women have reached settlements with O'Reilly or Fox over complaints about O'Reilly, according to the Times. The Fox host says the claims have no merit. "How many women have to come forward?" Bloom asked. "By my count, it's already been dozens of dozens of women" who have accused Ailes, O'Reilly and others at Fox News of improper behavior. After Carlson sued Ailes last July, Fox's parent company 21st Century Fox hired an outside law firm to conduct an internal investigation into the allegations. The law firm spoke with numerous other women who said they were victims of Ailes' predatory behavior. 21st Century Fox executives say they have essentially cleaned up Fox News by installing new managers and instituting new policies, like sensitivity training, in recent months. The company has pledged zero tolerance for "behavior that disrespects women." Bloom said that is not enough. She brought up some of the same criticisms of the internal investigation that others lodged last summer -- namely, that it was too narrowly focused on Ailes and on repairing Fox's corporate image. "Those are attorneys for Fox News. They have not done an independent investigation and that needs to happen immediately," Bloom said.